Michelle Wong is a Researcher at Asia Art Archive (AAA). 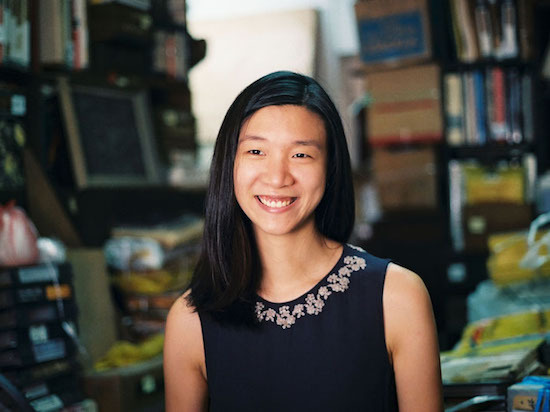 Based in Hong Kong, her projects include the Hong Kong Art History Research Project, organized in collaboration with the Hong Kong Museum of Art (2013-5); the Ha Bik Chuen Archive Project (2013-ongoing), which was accompanied by exhibition ‘Excessive Enthusiasm: Ha Bik Chuen and the Archive as Practice’ (2015); an undergraduate course developed in collaboration with Fine Arts Department, The University of Hong Kong; and London, Asia, a collaborative project with the Paul Mellon Centre for Studies in British Art (PMC). Wong is part of “Ambitious Alignments: New Histories of Southeast Asian Art,” a research program funded through the Getty Foundation’s Connecting Art Histories initiative. She was also Assistant Curator for the eleventh edition Gwangju Biennale, South Korea, directed by Maria Lind, titled ‘The Eighth Climate: What Does Art Do?”.